J.C. Penney Co. Inc. (JCP - Get Report) shares plunged nearly 20% Friday, Aug. 11, to an all-time low after the department store reported earnings far short of expectations. JCP dropped to $3.91 shortly before 1 p.m. ET, off some 17% on the session. Shares hit an all-time low of $3.77 earlier in the session, and are now down more than 50% year to date even as the S&P 500 has risen some 8.9% during the same period. For the quarter ending July 29, J.C. Penney reported sales of $2.96 billion, up 1.5% from the year-ago period, with same-store sales down 1.3% year-over-year. Analysts surveyed by FactSet expected sales of $2.84 billion, with a same-store sales decline of 1.2%. However, J.C. Penney's adjusted net loss of 9 cents a share was well above the consensus estimates of 4 cents a share. 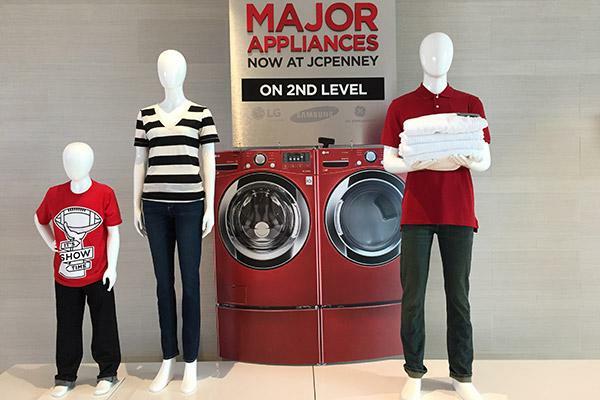 J.C. Penney also reaffirmed its 2017 full-year guidance. The Plano-based company expects adjusted earnings of 40 cents to 60 cents a share, with same-store sales growth expected at -1% to 1%. CEO Marvin Ellison said in a statement that the liquidation of inventory at 127 closing stores hit earnings per share and gross margin, but the company is "confident in our ability to further strengthen our balance sheet, while driving sustainable growth and long-term profitability." "We delivered positive comps in May, low single digit losses in June and flat comps in July," Ellison said on a call with analysts, emphasizing that the store closures were a one-time event. E-commerce was up double-digits in the quarter, he said, and the company is "exceptionally pleased" with those efforts. The best-performing regions were the Southwest and Southeast, J.C. Penney said, with its Home, Fine Jewelry, Footwear and Handbags, Sephora and Salon divisions performing the best. The company inked a partnership with the LVMH-owned makeup retailer as peers like Ulta Beauty Inc. (ULTA - Get Report) and e.l.f. Beauty Inc. (ELF - Get Report) have outperformed department stores. Ellison touted the forthcoming release of Fenty Beauty, a makeup line by pop star Rihanna, exclusive to Sephora and Sephora's J.C. Penney locations. Other new initiatives include over 300 mattress showrooms, a partnership with appliance maker Electrolux and an expanded activewear assortment, including Nike Inc. (NKE - Get Report) and Adidas AG (ADDYY . Appliances were a particular focus on the call. The company's chief marketing officer since June, Marci Grebstein, joined from Lowe's Cos. Inc. (LOW - Get Report) and Ellison praised her experience with appliances. J.C. Penney customers have an average income below $80,000, Ellison said, and for such customers, "when you make an appliance purchase, you want to come into the store, physically touch it and see it, and you want to get some level of consultation from the associates," adding, "this is a net new business for us." The call also introduced newly appointed CFO Jeff Davis, whose appointment announced July 24. He previously served as CFO of Darden Restaurants Inc. (DRI - Get Report) and of Walmart Stores Inc.'s (WMT - Get Report) U.S. stores. J.C. Penney's earnings come one day after those from Macy's Inc. (M - Get Report) , Kohl's Corp. (KSS - Get Report) , Dillard's Inc. (DDS - Get Report) and Nordstrom Inc. (JWN - Get Report) came in, with only Nordstrom shares rallying despite decent earnings from its peers.